Hi friends! I just wanted to quickly share with you my videos on the 1959 classic and current version of Ben-Hur. The video above has both reviews in it, but let me summarize my thoughts. 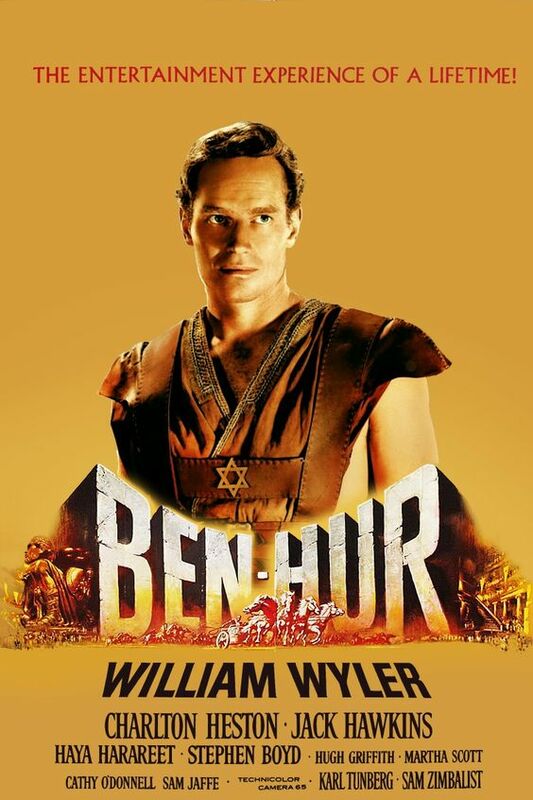 Based on the popular novel, Ben-Hur tells the story of Jewish Judah Ben-Hur and his Roman friend Messala. The two friends become estranged when an accident occurs and Messala fails to come to the defense of his friend. Judah becomes vengeful towards Messala and his family suffers greatly under Roman rule. 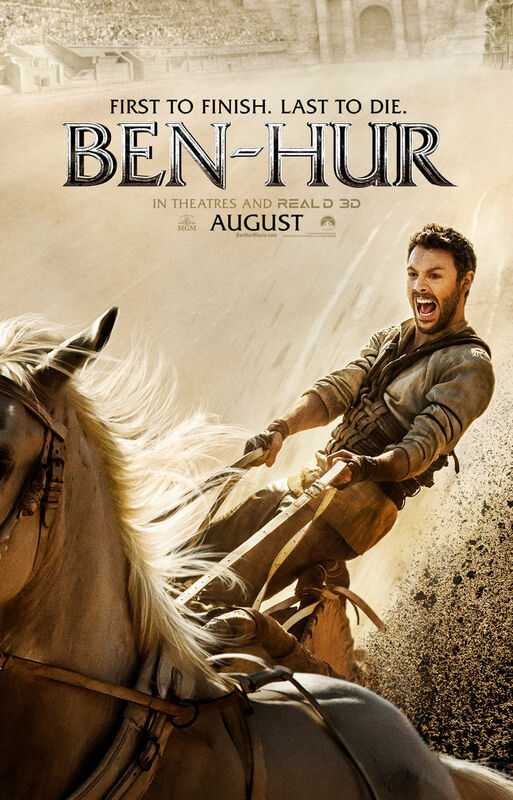 Eventually Judah escapes from a prisoner’s ship and races Messala in the famous chariot race. The death of Christ on the cross comes and Judah experiences the miracle of redemption and is able to let go of his hatred. This is certainly an epic movie, perhaps the most epic ever made. It took me two days to watch it but I don’t think that is necessarily a bad thing. Charlton Heston is great as Judah as is the rest of the cast and I found the characters compelling enough to sustain the narrative. Each part of Judah’s journey feels important to the story. It’s in some way’s more like a miniseries more than a movie. Because we have spent time with these characters and know them so well the more melodramatic moments work and I thoroughly enjoyed watching the film. It’s definitely a classic for a reason. Oh and the chariot race still holds up. Amazing! Despite what some may say this is not a total train wreck. If I was an average movie-goer who didn’t analyze films so much I would probably be entertained by the film. 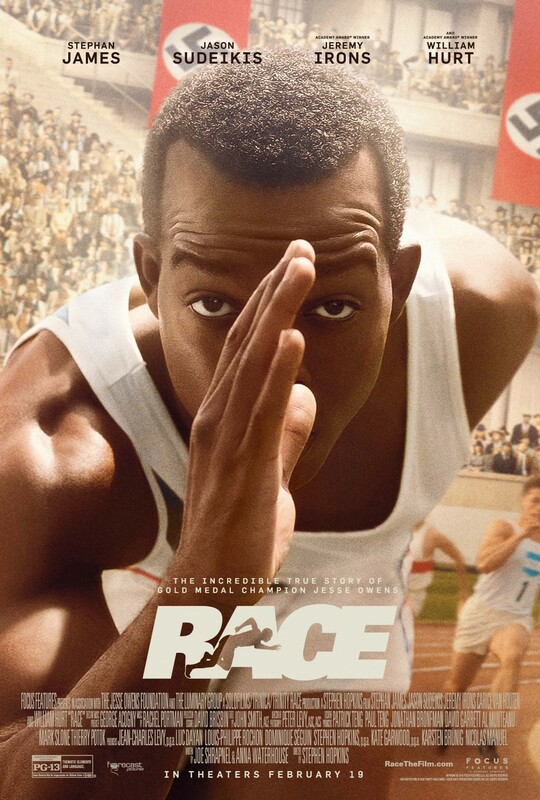 It’s well made and the acting is good all around. The problem is I’m not an average moviegoer so the problems are more apparent to me especially when comparing it to the 1959 classic. My main problem is story changes they make which lessen the power of the narrative. For example, they make Judah marry Esther, which makes her role in covering up the leprosy of his Mother and Sister non-existent. The entire plot point of the leprosy is an after-thought here when it is so moving in the original. Also they lessen Messala’s ruthless choices. It’s complicated but in the original Messala has a choice to betray his friend and he does it because he knows betraying a friend will strike fear in hearts of the Jewish people. In here he does it because Judah disobeys a technicality. It’s not as strong; therefore, making Judah’s desire for revenge not as strong. Also they use a ton of shaky cam which I hated. Still, the chariot scene isn’t half bad and like I said the performances are pretty good. Because of the weakened story elements the ending is a big problem. 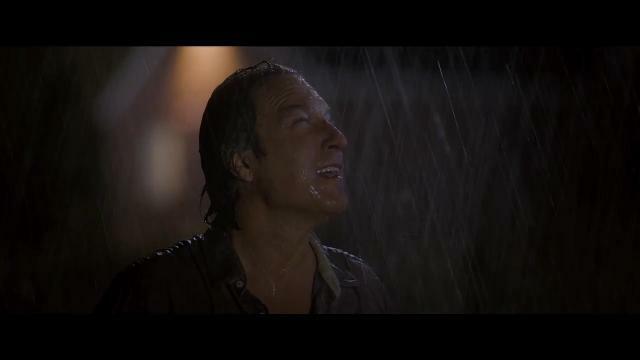 They have the cleansing rain like in the original but that’s enough for them. They have to make everything hunky dory and that annoyed me. It’s too bad really because it actually had potential to be a good remake. Hi guys! I had the cool experience today where I got to interview screenwriter Melissa Leilani and find out what it is like to write a script. She was the main writer for a film I loved in 2015 called Freetown. Freetown is a faith-based film but one that is approachable to anyone. It tells the story of a man who must smuggle 6 missionaries out of Liberia during their brutal civil war. Things are tense and Brother Abubakar is a man of practical faith mixed with a healthy dose of skepticism. It makes him a very compelling character. What I really appreciated about Freetown is that it told a compelling story and let the messsaging take care of itself. 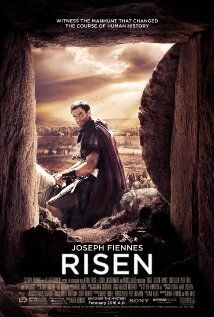 Unlike many faith based films (that I still find some value in) I didn’t feel it was preachy or forcing a message upon me. In fact, my friend Yusuf who is Muslim liked the film as much as I did. I think you might find it interesting to watch the film and then listen to the interview about her experience. However, I also think it will be interesting if you are just interested in screenwriting or writing in general. We do get off topic a few times (we have very similar movie and theater taste!). She has a theater background so her transition from playwright to screenwriter was very interesting to me. Anyway, this is only the 3rd interview I have done, so if you have any feedback that would be great. I hope you enjoy it. 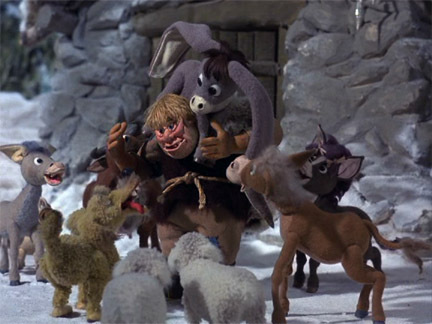 One thing you have to give Rankin/Bass credit for is their creativity. Maybe it’s partly running out of Christmas stories to tell but even their Rudolph special (that review is coming on Christmas Day if you were wondering) they were very creative having plot points like an elf that wants to be a dentist. You can certainly see such creativity on display with their short Nestor, the Long-Eared Christmas Donkey. 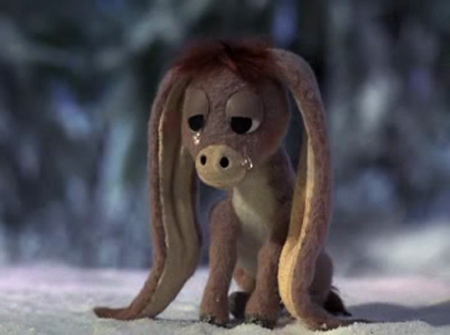 I mean have you ever seen a film about a long-eared donkey? I haven’t until this one! No doubt taking cues from Dumbo, Nestor is a donkey during the time of the Romans with abnormally large ears that go down to the ground. 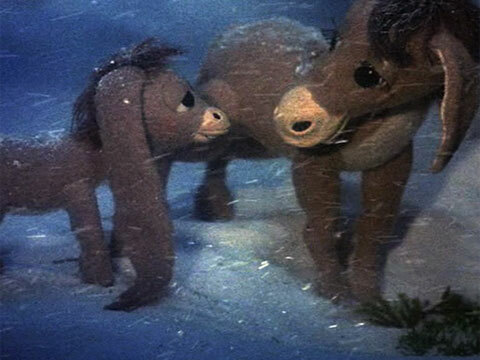 For some reason they decided to give this story a folksy narrator donkey named Spieltoe voiced by Roger Miller. It never quite fits with the feel of the short. As if having long ears isn’t trial enough things go from bad to worse for poor Nestor. The opening scenes soldiers come and take all the donkeys except Nestor including his mother. Then Nestor is thrown out by the farmer and he and all the animals are really mean. Nestor and his mother are caught in a blizzard and the next morning his mother has died. (It really is quite a grim film for a Christmas special!). Then Nestor meets an angel who tells him to travel to Bethlehem because “your ears can do wondrous things no other ears can do”. Then he and the angel travel across desert and have quite the journey. When they arrive near Bethlehem Nestor is seen as unneeded so the owner sells him to Mary and Joseph for cheap so she can get to Bethlehem. 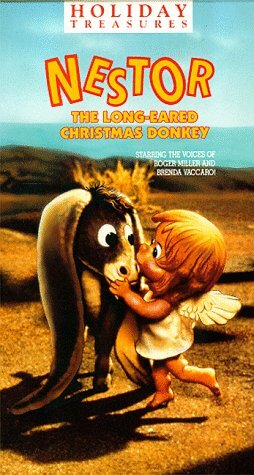 It is a perilous journey but “he follows the voices of the angels” and Nestor helps them find the stable to have he Christ-child. I expected the film to end with Nestor staying at the nativity stable but in an odd turn he goes back to the original stable where they were so mean to him and he is treated like a hero. This is strange because how would they know what he had done in Bethlehem and why would he want to go back there? I give them huge points for creativity on this one and it’s harmless enough. The animation is quite good as it is one of their later films (1977). And I’m always up for stories about characters who fight bullies and come out on top. However, the film is so gloomy for a Christmas picture. Almost nothing but death, rejection and persecution happens to Nestor until the very end. Also the ending didn’t really make sense to me. I also found he music, while pleasant to not really fit the tone and characters very well. So over all I’d say see this as a curiosity and to see their creativity but it is not a favorite of mine. 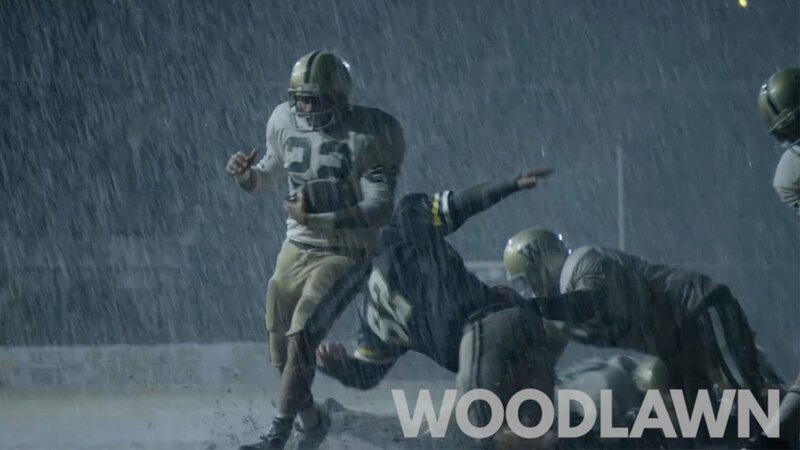 Reviewing the new Christian film Woodlawn is tough. I was thoroughly entertained by it but it definitely has problems. It is also a marked improvement over many other Christian films such as the recent hit War Room (which I saw some value in). I went back and forth on what grade to give the film (how much to weigh the flaws vs strengths and my overall entertainment…). Finally, I decided I’m just going to present the strengths and weaknesses and you can decide if it sounds like something you’d enjoy. Woodlawn is directed by the Erwin Brothers who had previously done October Baby (haven’t seen) and Mom’s Night Out, which I actually thought was funny despite the terrible reviews. 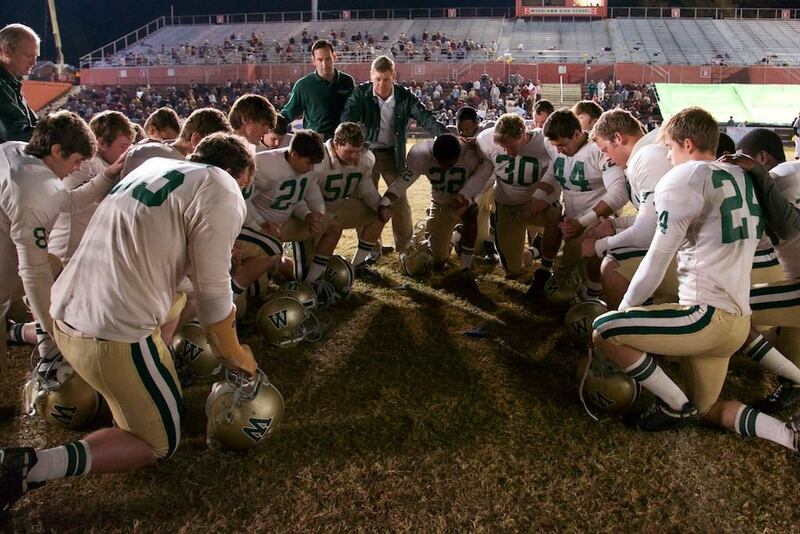 The overall production values of Woodlawn is a large step in the right direction for Christian films. The football scenes in particular I thought were really well shot and staged. The acting was also a step up across the board. It isn’t nearly as compelling as Freetown from earlier this year but it is a solid effort. 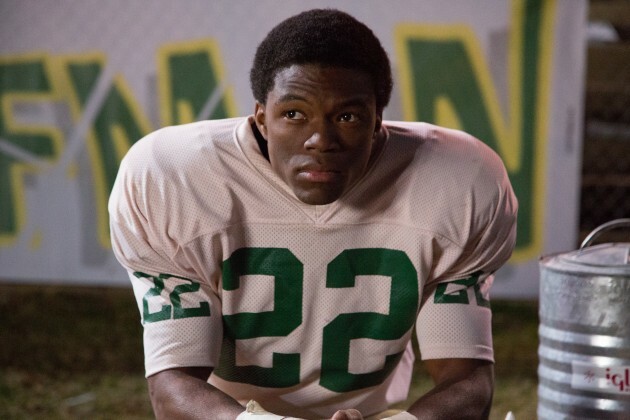 In the film we get the story of Tony Nathan played by Caleb Castille who was one of first African American NFL players to come out of Birmingham Alabama and be a big name. It chronicles his junior and senior year at Woodlawn High School just after forced integration in both the football team and school. The team is led by Coach Gerelds played by Nic Bishop, who is a practical, sensible nice guy. 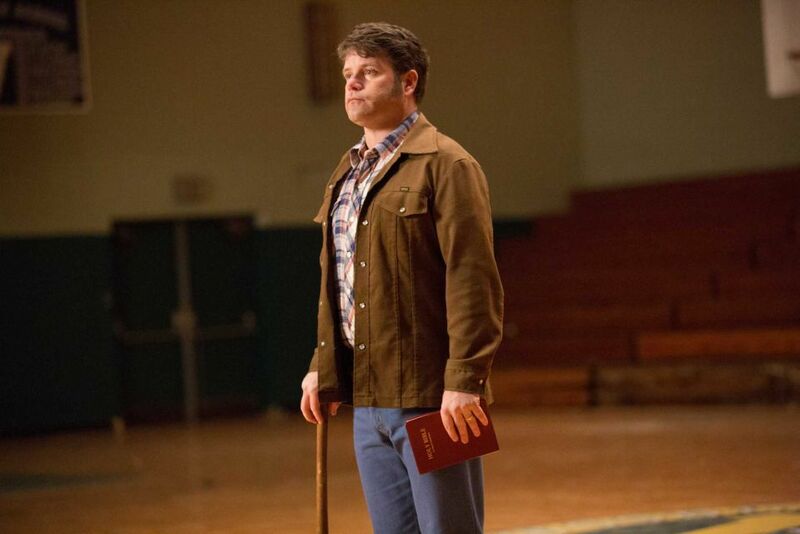 When racial tensions erupt at the school Coach Gerelds lets a sports chaplain named Hank played by Sean Astin (that’s right Rudy in a football movie!) encourage the kids. He delivers a sermon about how the love of Jesus can overcome all the hate they are seeing and help them play as a team. The team is moved by his words and they convert. A little later on Coach Gerelds also has a conversion and decides to be baptized. They end up battling for 2 seasons becoming better and Tony becoming more of a star player until even Sports Illustrated is profiling him. It all culminates in a huge game that has to be in a giant stadium with their rivals from another high school. Like I said, overall I was entertained by Woodlawn. I thought the acting was pretty good with Bishop and Castille being the standouts. 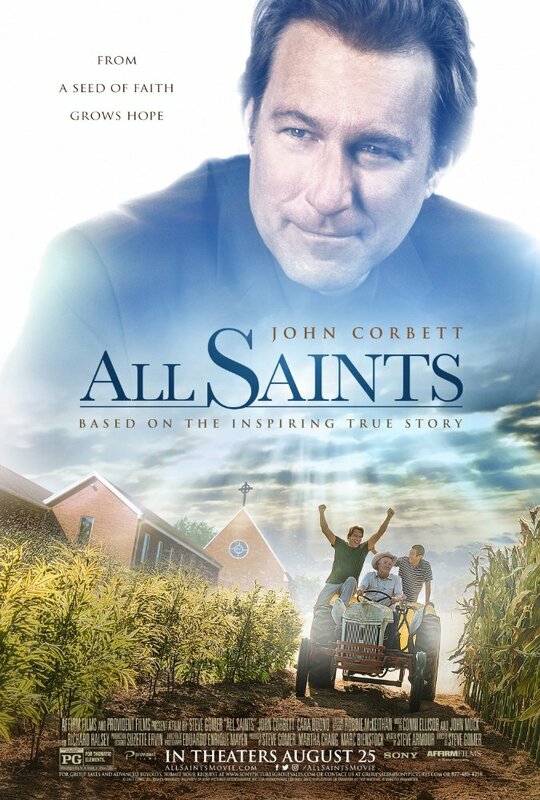 I thought it looked good and had an inspirational story with a more toned down Christian dogma than some other Christian films. I don’t think it is a movie that non-Christians will enjoy but I think it is less objectionable than other entries if that makes sense. That said, there are problems. It is one of those films that should have been 30 minutes shorter and yet certain subplots like a relationship between Tony and his girlfriend Johnnie. There were also characters and plot points brought up that we never hear from again such as a more militant black student at the high school who tries to intimidate Tony and yet we don’t hear from him again. 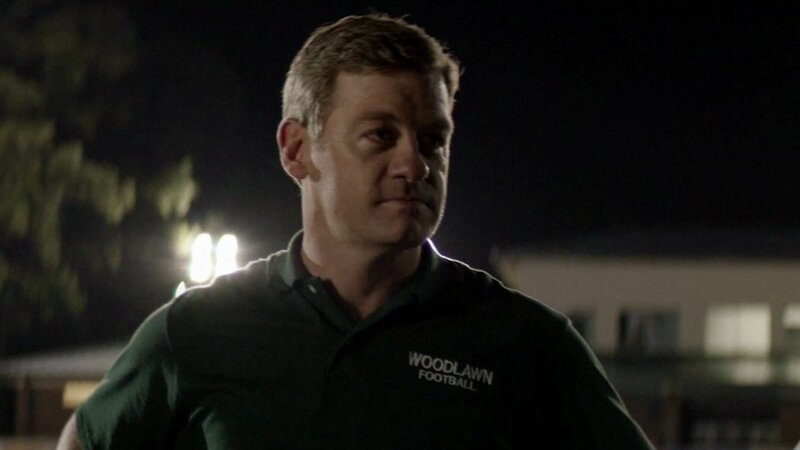 Woodlawn has a ‘villain of the week’ problem where I felt like every 10 minutes a new character was being presented as the villain, then they’d convert and we’d get a new one. There is also a separation of church and state subplot that I felt was underdeveloped. The music was also way over the top. For example, at the beginning of the film Tony and his Dad are driving and by the music you would think it was the climax of the film. When that happens you don’t really have anywhere to go with it making the climatic music in the actual climax underwhelming. Certain character transformations I also didn’t buy like when Coach Gerelds converts seemingly out of nowhere and when the entire rival team also converts including their coach who had been previously presented as an antagonist. 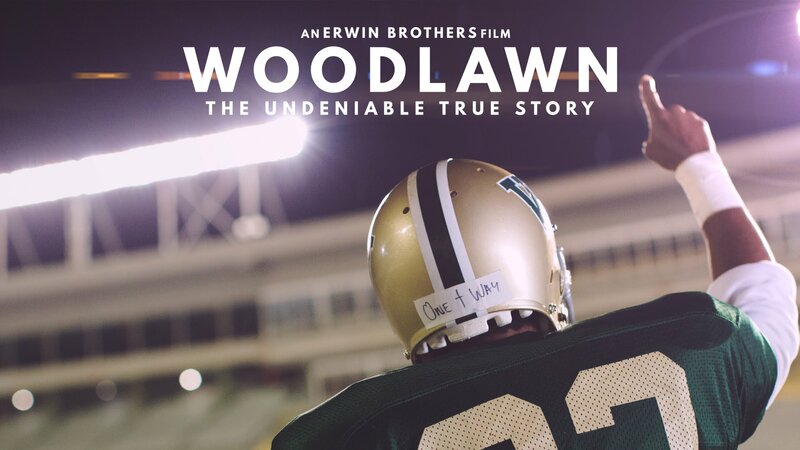 But all that said I was entertained by Woodlawn. If Christian audiences want quality films they should support this film. It really is so much better than War Room that I’m a little sad to see it not doing as well although certainly respectable audience turnout. This is a movie not an inspirational Sunday School lesson. Both have value for me but I would much rather watch films like Woodlawn and I hope the Christian film community continues to up their game. So what do you think of Woodlawn? Does it sound like something you’d like? If so, go see it and let me know what you think. Here is my youtube review. Would love if you gave it a watch and thumbs up! So my sister is in town so a little tight on time. Just doing 2 video reviews this week instead of written and video. I promise this will be the exception rather than the rule. This week I saw the Christian film War Room and the old people buddy movie Walk in the Woods. Basically War Room is only for believers. I liked it didn’t atheist shame and until the end kept the issues small, every day problems. I also liked the concept of the War Room and am already thinking about applying it in my life. That said, aside from the lead performance the acting was weak particularly the child actors who I think were only gotten for their jump roping skills. It is also way too long and it kind of treats faith and prayer like a super power which I had issues with. Still, I’m glad I saw it. Walk in the Woods is based on the Bill Bryson memoir, which I have read. It keeps the saucy nature of the book and I think that will turn off some viewers who are expecting a pure feel-good film. It also has a lot of sitcomy moments some won’t like but I enjoyed it. It’s the kind of charming movie about friendship and pushing yourself I’m a pushover for. I did forget to mention in the review that Emma Thompson is great in her scenes but Mary Steenburgen is completely wasted in a part that did not need an Oscar winning actress to fill. But the movie looks beautiful and I liked the 2 leads. Like I said, in the end I was charmed by it.